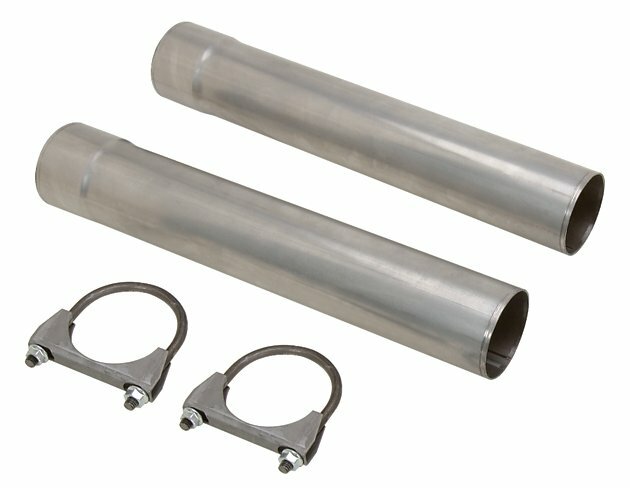 JEGS Slip-On Collector Extensions 18" long, 4" I.D. Bolt-on or slip-on, these extensions enable torque curve adjustment to suit track conditions. Bolt-ons include two extensions, nuts, bolts, and gaskets. Slip-ons have 2 extensions & clamps.